Eh hem...there are even a few of us who had a previous life of press releases, media events, column items etc. I have to say, the analytics on this side are wayyyyyyy better! Though diverse, our view on the changing market and consumer are the same. And, our solution to this change is the same - we are about good content to the right person at the right time. That’s the magic! ...when one of your professional bucket list items is to be retweeted by Seth Godin. ...when you enter an online giveaway and feel a little guilty because you’re really not an MQL. ...when the first thing you think of when checking your actual physical mail is how much money is being wasted on all those direct mailers. ...when you come across a website that isn’t optimized for mobile and you JUST CAN’T EVEN. ...when you think of the world in 140 characters or less. Okay, what did I forget? 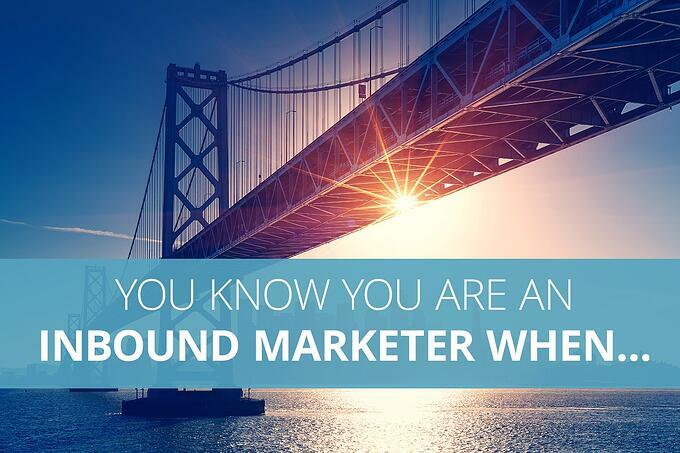 You know you are in Inbound Marketing when…. Please leave us a comment below! 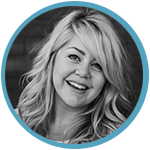 Also, check out our blog for all things inbound marketing, all the time.